Welcome to your comfort zone! 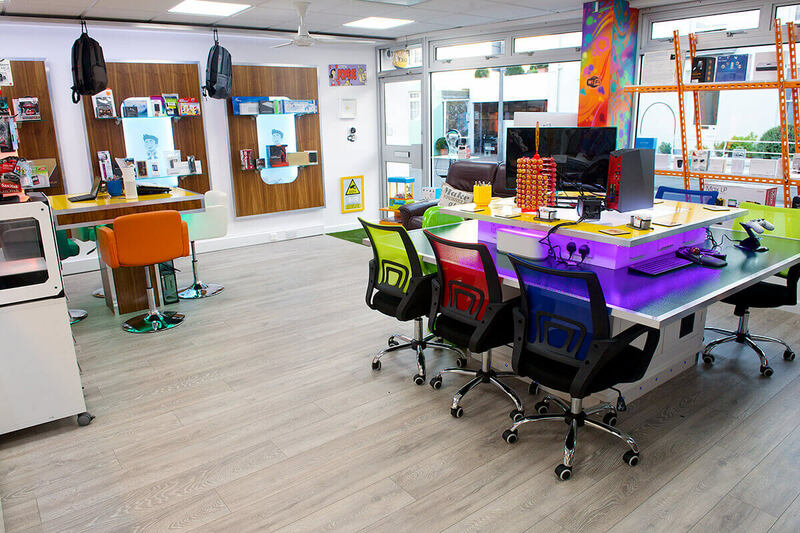 IT Matters is unique, in that we’ve designed the shop as a comfortable Drop-In Lounge where you can call in anytime, grab a coffee and use our free WiFi, while chatting to an expert, or checking out the latest technology and devices. To our customers, it’s known simply as ‘The Lounge’ because it’s so welcoming for all ages, from four to 104 and beyond! We’re planning to have retrogaming nights at The Lounge – everything from Pac Man to Xbox One. Bring your friends, reminisce over coffee and play your old favourites on a massive 80” screen! It’s time for some retro fun! If you have a club or group, this is also good news! Your can arrange to use The Lounge for any type of meeting. You can use our 80” screen for presentations. We have a fantastic sound system. Plus extras, such as laptops, are always available. If you like the idea, contact us now, and let us know about your plans.